You spent months preparing. You did every logic game available. You were hitting your target score in your LSAT practice tests. You were ready for the December LSAT -- or so you thought. Then test day came and everything you practiced went out the window. At least that’s what it felt like when the proctor handed out the flimsy booklet and you realized your 12 perfectly sharpened pencils weren’t going to answer the questions themselves. 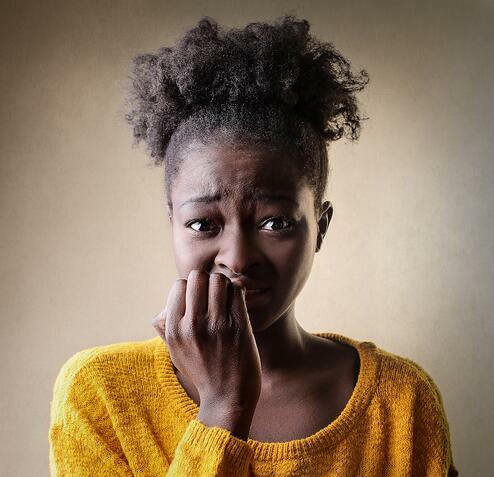 One thing students neglect to prepare for is test day nerves. I’ve seen test-day nerves take out the best of us: the student scoring in the high 170’s on PTs suddenly finds herself with in the 160’s and questioning her own identity. So what should you do if you find yourself in this boat after the December test? If you really think you bombed the December test and you know your score will not reflect your ability, then I suggest taking the test again as soon as possible. Why? You just spent several weeks and/or months preparing for this exam. You don’t want to lose the progress you made. If you don’t start studying right away, that is exactly what will happen. I always tell students that training for the LSAT is like training for an athletic competition; if you stop training, you won’t necessarily go back to zero but you will lose a substantial amount of the progress you’ve made. Elevate your practice. Were you actually training under the exact test-day conditions or did you let a few things slide, because it was “just practice.” That’s the kind of thing that will undermine your confidence on test-day and allow test-day nerves to get the best of you. What does this mean exactly? Use a proctor app! There are plenty of LSAT timing apps out there that will re-create the looming voice of your proctor and induce the 5-minute panic. You will not have access to a digital watch on test day so if you’ve been using one to self-time, it will unnerve you when you cannot use it on test-day. Plus, getting used to a voice telling you, “Begin…5 minutes…Put your pencils down,” will accustom you to the intrusion of your proctor’s voice on test-day. Do 5-Section Tests. “But Leonarda, they don’t release the experimental section, so how can I do a 5-section test?” Take a section from an earlier test and throw it in the mix, preferably in sections 1-4. Yes you will know which section on your PTs is the “experimental” but don’t phone it in. The point of adding this section is to train your endurance. So many students practice with 4 sections, and then on test-day, experience 5th section-fatigue. Treat the section as extra-practice and learn from it since it’s a real section. BONUS – practice with the exact kind of section you are hoping not to have as your experimental. So if you’re like, “Oh Dear God, please don’t let them give me a second Reading Comp section,” practice with a second RC section. The very thing you fear is likely to show up on your exam (Law of Attraction applies to the LSAT too!) so prepare yourself for it! Take a Proctored Exam! - There are plenty of places that offer free proctored exams. Bring your own exam and take advantage of being in a test-like setting. There’s a difference between taking an exam in the quiet of your own home and taking it next to a bunch of sniffling, page-turning, mouth-breathers. Obviously I’m going to say this because I’m a tutor and this is my sales pitch. But I have never seen a student who did not benefit by working one-on-one with someone who could assess their personal weaknesses and give them a personalized game plan. Consider that just a 2-point increase can translate to a $15,000 scholarship bonus (this was the case with one of my students). In light of that, a few hundred dollars invested in working with a tutor has a higher rate of return than Bitcoin – without the heart-attack inducing fluctuations.